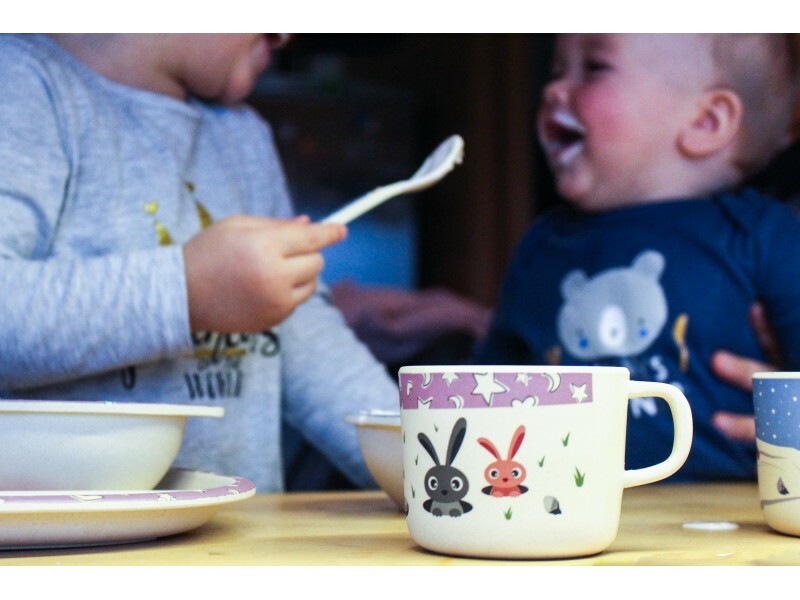 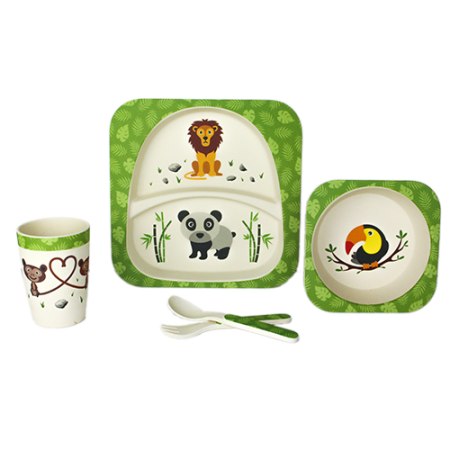 When children are making first attempts to eat by themselves it is time to support them with one of these adorable animal-print kid sets . 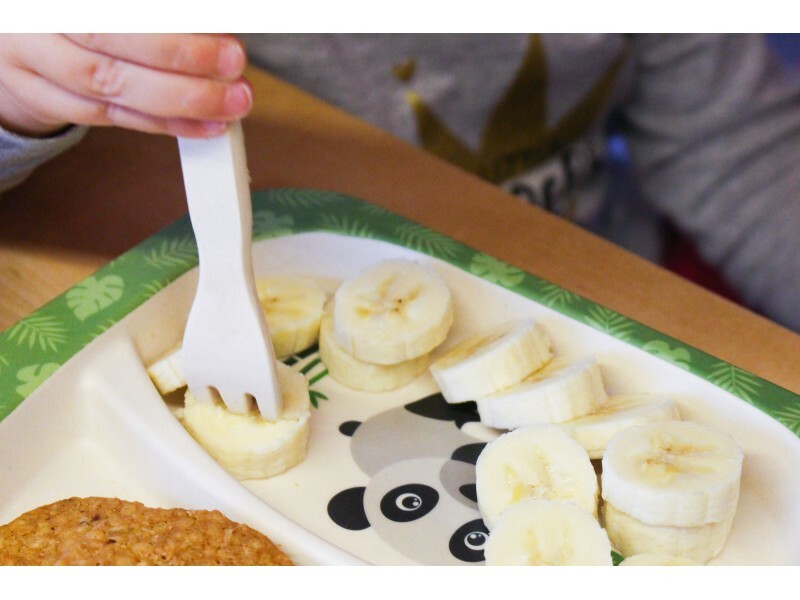 WoodWay bamboo kid sets are easy to grasp & handle for little hands. 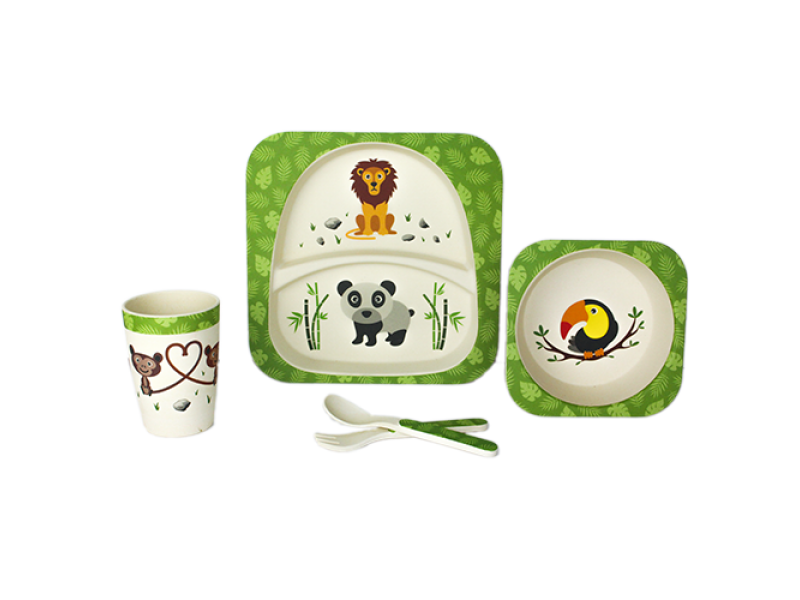 These colourful five-piece eye-catchers are made of eco-friendly and food-safe bamboo. 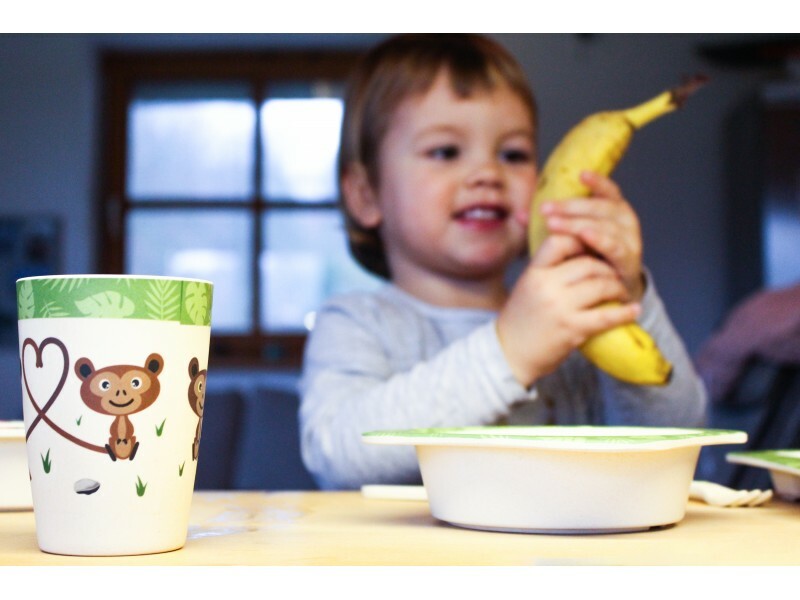 A must have for mums and dads who care about their babies and are looking for a natural alternative to plastic. 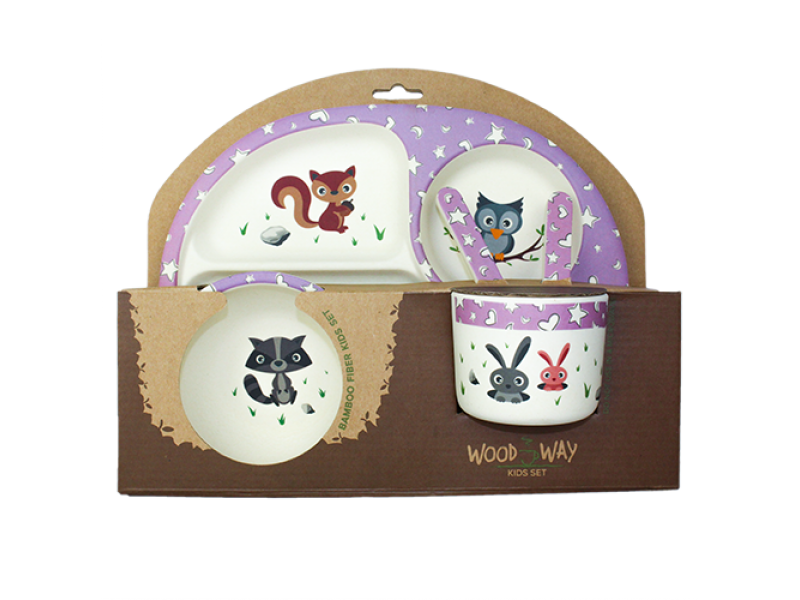 CARE&CLEANING: Set is dishwasher safe.